Weighed in this morning at 179 pounds. Down a pound from my last report. For the month of November, that gives me a net loss of 6 pounds. 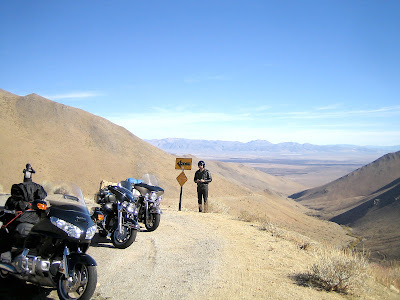 In the last report, I said I was spending this past weekend on a motorcycle camping trip in the Sierras. I went and a had great time. 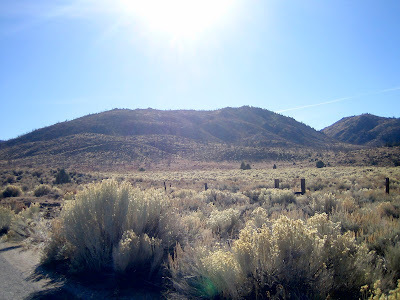 Kennedy Meadows is a beautiful area nestled in the southern Sierras, along Sherman Pass Rd. At this time of the year, hardly anyone goes camping up there. The three of us set up our camp, and didn't hear a peep out of anyone else. That first day, I had some jerky, and probably ate about 4 ounces worth total. But I also had a bagel with butter, and what amounted to about 6 ounces of salami. I also had several handfuls of mixed nuts. I also had a couple of regular Cokes, along with three beers, and some Jack Daniels. I also ate down an entire pound of bacon. I brought the bacon so that we all could hang them on the ends of sticks, and roast them over the campfire. But no one was interested. And this was Maple Sugar Bacon! I roasted one over the fire, and got it to where I like it, soft, chewy, at its height of flavor. The guys absolutely grossed out. Apparently, they like crispy bacon. I ate the whole package myself. The next day, Sunday, I ate about 3 ounces of jerky, some more mixed nuts, and two bottles of regular Coke. Then we packed up camp, and continued on our ride up the Sherman Pass. I didn't really eat anything more on the trip, until I got home. That's when I had the leftover greenbeans from Thanksgiving, some celery sticks and ranch dressing, and a slice of apple pie. To think that I could lose 1 pound after eating all that, I guess I'm ecstatic.